Preparing for its annual fundraiser to benefit its community operations, the executive board of A Better LA, a local violence prevention agency founded in 2003 by the Seattle Seahawks football coach, Pete Carroll, has announced the appointment of Aquil Basheer, a pioneer of the community-based interventionist movement, to serve as the agency’s new executive director. Basheer was selected to help the 11-year-old organization maintain its mission to support community-based solutions that help restore peace and save lives. 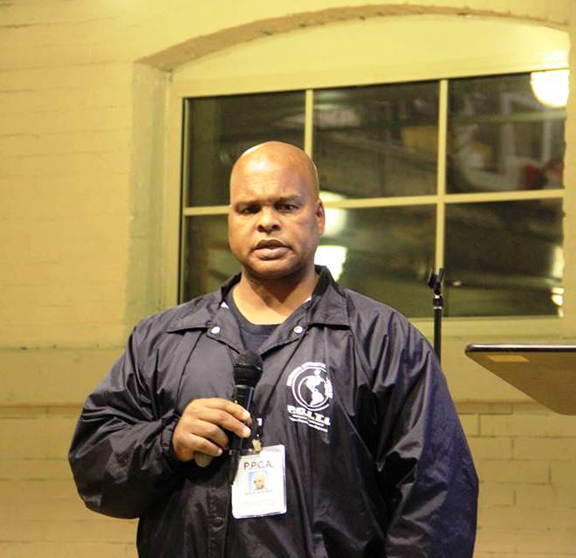 As executive director of Maximum Force Enterprises, Inc. and founder of the Professional Community Intervention Training Institute (PCITI), a “practitioner based” development academy that professionally trains and certifies frontline “peacekeepers and emergency first responders,” Basheer has worked to reduce violence in the Greater Los Angeles community for more than 40 years. Candidates for the PCITI are selected for their serious commitment to helping reduce gang and other types of violence in their communities. The PCITI was adopted as a model for gang intervention by the Los Angeles City Council. The son of the city’s first African-American firefighter, Basheer is no stranger to L.A.’s diverse and complicated issues. An author and syndicated columnist, his experiences are documented in publications nationwide. Basheer has authored 27 Laws of Urban Street Survival, a roadmap for crisis-intervention experts, emergency responders, and violence abatement specialists on gang-related confrontations, dispute resolution, hostility mediation and peace building. In June, Basheer will evoke the reality of gang warfare, but acknowledges the possibility of peace in his latest book project, “Peace In the Hood: Working with Gang Members to End the Violence.” In great demand, Basheer travels nationally and internationally training interventionist teams, community-based organizations, emergency responders, social service agencies, law enforcement personnel and diverse municipalities, on how to understand, interact and deal with gangs, community violence, and crisis-related situations. His innovative approach to dealing with violence has earned him federal, congressional, state, and private recognition for his work in the community. Basheer will oversee A Better LA’s day-to-day responsibilities of managing the dense network of intervention/outreach workers, providing comprehensive training and oversight, providing financial resources for community partners to develop support systems for families, after-school and recreational programs. ABLA also establishes food banks and distribution centers and operate "safe passage" programs for children to walk safely to and from school and helps those who’ve served time in jail reclaim their lives, by teaching them life and job skills that empower them to become productive employees, citizens, and community members.